Is Google’s signing of the Student Privacy Pledge meaningful at all? Home » Business » Is Google’s signing of the Student Privacy Pledge meaningful at all? Although Google did not initially embrace the Student Privacy Pledge, in January, it announced that it had signed it. 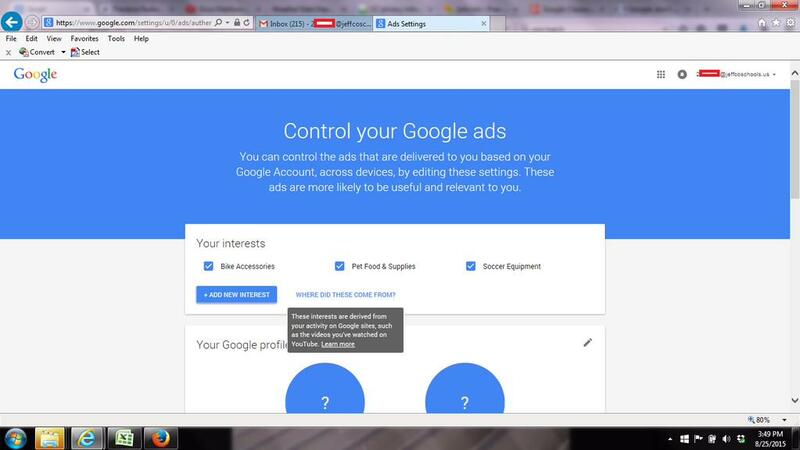 So why did @Parents4Privacy’s child see this screen when their child was logged into Google Apps for Education (GAFE)? Why is Google using the student’s non-educationally related interests and browsing history to offer up ads while they’re logged into their GAFE account? Shouldn’t there be no ads if Google signed the pledge and the parent hasn’t opted in to ads for their minor child’s account while they are logged in to GAFE? Google ignored two requests for a statement as to how this their behavior, as evidenced in the screen shot, is consistent with their signing the student privacy pledge. DON’T TRUST GOOGLE – because their understanding of the Student Privacy Pledge may be quite different than what you might rationally expect. Watch and explore what really happens while your child is logged in to GAFE.